Oregon State University entomologist George Poinar Jr. and his son Greg, a fragrance collector, found evidence that floral scents originated in primitive flowers as far back as 100 million years ago as pollinator attractants—a role they still play even though today's flowers also have colorful petals for luring pollinators. "I bet some of the dinosaurs could have detected the scents of these early flowers," George Poinar said. "In fact, floral essences from these early flowers could even have attracted these giant reptiles." 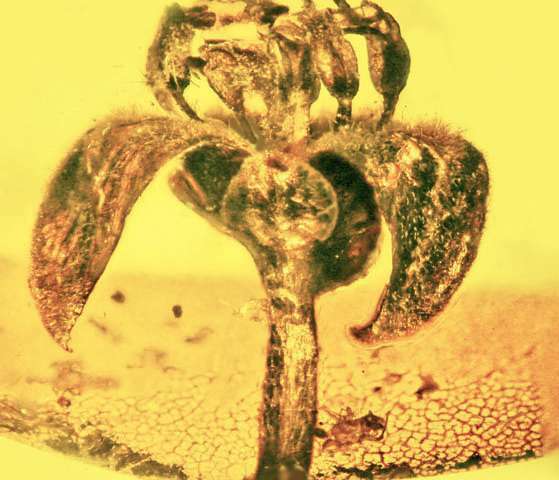 "You can't detect scents or analyze the chemical components of fossil flowers, but you can find the tissues responsible for the scents," said George Poinar, professor emeritus in the OSU College of Science. 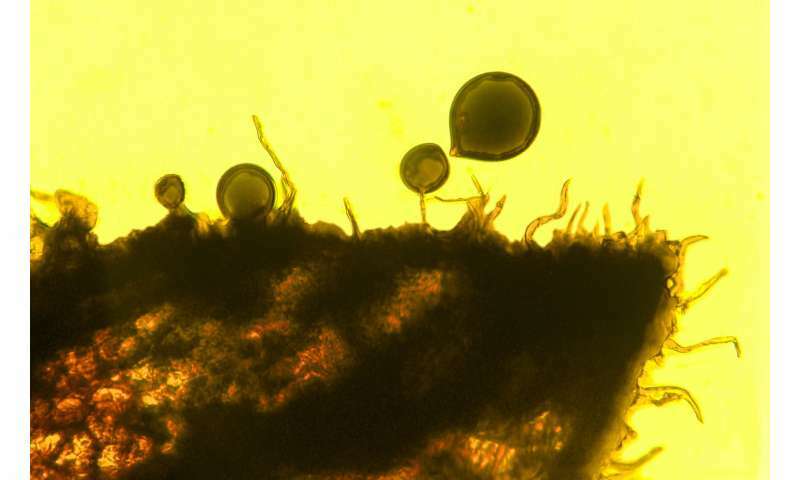 "It's obvious flowers were producing scents to make themselves more attractive to pollinators long before humans began using perfumes to make themselves more appealing to other humans," George Poinar said. Have flowers devised the ultimate weapon of distraction? You know, this site isn't just a news aggregator. They spin headlines to imply things that are not in the story just for hits. Like their failing to take down creationism/climate change denial/personal insult spam. Hey, they *think* they could have smelled flowers. It's a reptile. Emotions? Why do you think we call an unemotional person, "cold blooded"? Inferring emotions in reptiles is really dicey- when they're alive in front of you. That is just a total BS headline. It also encourages herp abuse by owners. Most the poor husbandry practices center on thinking they have human emotions. Like stroking a horned toad between the eyes and saying they look like a puppy, closing their eyes. They think they're about to be eaten when they do that. But, hey, who cares? Got a few extra clicks! You would never guess Russian pimps run the site, would you? They have destroyed this site for a few advertising dollars more. I'm sticking with ArsTechnica from now on. It's not a terrible stretch to imagine that an herbivorous dinosaur would be attracted to the smell of a flower, and attraction and liking are almost synonymous. I for one have raised lizards and can confirm that they "like" or prefer certain kinds of food over others. And the whole "cold blooded" thing seems overblown considering evidence that at least some dinosaurs were endotherms and/or were social animals. But agreed that phys.org has become a haven for climate deniers, racists, creationists, and misogynists.